If you want to keep your vehicle in good working order, it's crucial that your exhaust system is operating properly. Whether your car has a stock or aftermarket exhaust system, the components help your car in more ways than you might think. The exhaust system reduces the amount of noise made by your engine, causing your driving experience to be more pleasant. It also controls the emissions released from the vehicle. Make sure your catalytic converter is operating properly and that there are no leaks in the exhaust system. 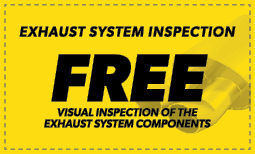 Contact Meineke #2461 in Winter Park, FL, to learn more about maintaining your current or investing in a custom exhaust system. It's important for drivers to know the signs of a failing aftermarket exhaust system. The easiest way to tell if there's a problem is when your exhaust system starts producing a louder sound. This means there is a leak in your high performance exhaust system. Leaks are usually caused when the flexible weave of the exhaust system starts to rust. This is the most vulnerable part of your exhaust. If you've noticed that your exhaust is louder and you're worried about a leak, contact Meineke #2461 at Winter Park, FL. and we'll diagnose the problem and take care of any muffler repairs you need. Performance exhaust system leaks can lead to far-reaching problems. You may think your car’s custom exhaust systems are designed just for muffling engine noise, but performance exhaust systems are also responsible for decreasing the amount of pollution that your car releases into the atmosphere. Properly functioning exhaust systems sound better and are safer for the environment. If your high-performance exhaust system fails, it can affect your fuel mileage as well as air quality. Aftermarket exhaust or stock exhaust systems are complex, but our emissions experts at Meineke #2461 in Winter Park, FL, can perform muffler repairs and get you driving safely again. Contact us today! Exhaust systems do eventually wear out. The combustion process inside of your engine creates a tremendous amount of heat. This forces chemical changes to occur. While much of your fuel is burned up, one of the remaining byproducts is water vapor. This vapor comes into contact with the metals causing oxidation and rust. Eventually the metals of your manifold, pipes, and car muffler wear out. They develop cracks and weak spots. You may hear loud engine noises or notice an odor as you drive. Fixing the problem may require an aftermarket exhaust or even a custom exhaust system to be installed. If you are experiencing any of these warning signs, contact our in Winter Park FL, and have your vehicle inspected. Unless you are a trained mechanic, you may miss warning signs of serious problems with your vehicle. Save money the smart way by stopping by our online exhaust repair coupon site. 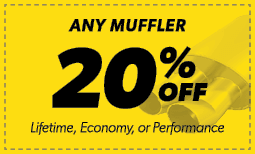 Not only will your inspection and repairs be made by a professional mechanic at Meineke #2461 in Winter Park, FL, you may save yourself valuable time and money in preventing future issues with your muffler or exhaust system.